Razer is known best for its colorful keyboards, performance gaming accessories, and high-powered laptops, but the company may soon venture into a new market: smartphones. 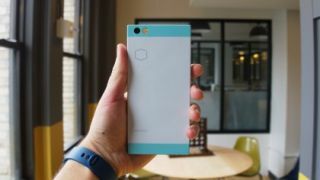 The gaming tech brand has just acquired Nextbit Systems Inc., the company behind the affordable (and unique-looking) Nextbit Robin smartphone. Financial details such as the buying price were not announced, but Razer did make sure to mention that the smartphone startup will still "operate as a standalone business unit under its own management". Nextbit CEO Tom Moss confirmed in a statement that the company has now stopped selling the Robin and its accessories. Nextbit will fulfill warranties for the next six months though, and the company "will continue to provide software updates and security patches through February 2018". This isn't the first not-quite-related-to-gaming acquisition for Razer, as the company bought George Lucas' own sound technology firm, THX, back in October of last year. Despite its latest additions, Razer still refers to itself as "the leading global lifestyle brand for gamers" in the press release announcing the purchase of Nextbit – suggesting the company isn't alienating its core demographic just yet to take on the wider smartphone market. That said, we won't be surprised if Razer is looking to further augment its growing list of electronics – which includes its own virtual reality headset and an Android TV box – with a new smartphone in the coming years.